Sony's latest headphones release looks to make tinny personal music a thing of the past. The new XB series of headphones have been equipped with a driver unit which is said to "reproduce low frequencies accurately". Sony has really turned the bass up to 11 with this release, adding a new feature they have given the Ronseal-esque moniker of 'eXtra Bass'. The XB range features five new styles of headphone – each with a different sized driver unit. The MDR-XB700 is the daddy of the bunch: the closed headset has a 50mm drive unit and handles 3,000mW of power. Its king-sized ear cushions reduce sound leakage and add more boom to the bass. When it comes to in-ear headphones, the pick of the bunch is the MDR-XB40EX. This handles 100mW of power, and comes with a selection of small, medium and large earbuds. It also ustilises a new 'direct vibe' acoustic design, so there shouldn't be much in the way of sound spillage. The rest of the range is as follows: MDR-XB500 (over the head), MDR-XB300 (earbud) and MDR-XB20EX (earbud). 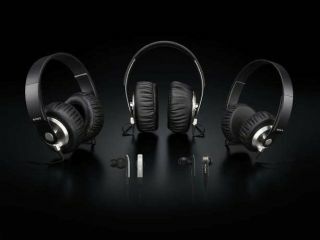 The XB series of headphones are out in March with exact pricing to be announced.